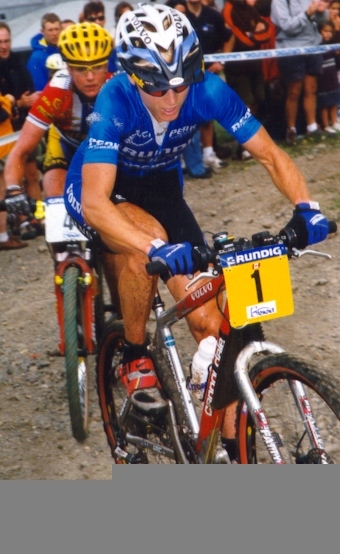 Alison Sydor is a Canadian Cross Country Mountain Bike racer who has won three World Championships, a silver at the 1996 Olympics in Atlanta, and numerous awards and titles. She lives in Victoria, British Columbia and rides for the Volvo-Cannondale Mountain Bike Racing Team. 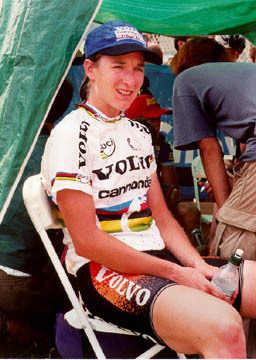 She is viewed by many as a Canadian hero and an excellent role model amongst cyclists around the world. Combining both her technical riding skills, and her overall athleticism make Alsison to be one of the most admirable, yet feared athletes in the world. Throughout her entire career as a professional athlete, Alsion has accomplished more than most other athletes could ever hope for. 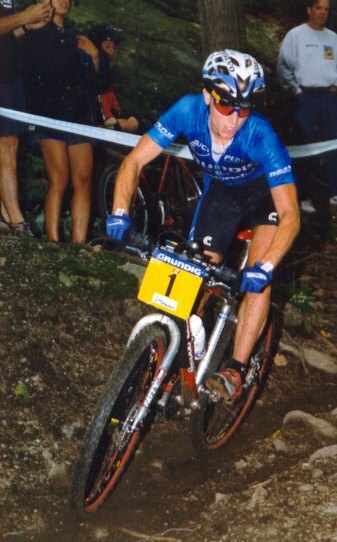 Besides her Silver medal performance at the nineteen ninety six olympics in Atlanta, Georgia, she managed to finish second overall at the Pan American Games, in Winnepeg just this past summer. This goes without mentioning all her single race victories, national and even provincial(she is from Edmonton, Alberta) championships.